It's not easy to make it into professional football and although to the outsider it may appear to be an advantage to have had a father who played professionally it doesn't always work out that way, particularly if your father was a club or international legend. 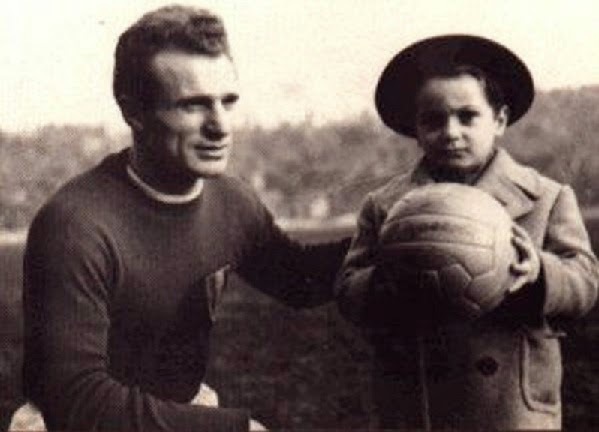 Valentino Mazzola was the golden boy of Italian football in the 1940's. As captain of the famous 'Il Grande Torino' side that won a record five consecutive Serie A titles, the elder Mazzola was a brilliant all round midfielder who was intelligent, quick, strong, and a natural leader. Tragically his life, and that of his teammates, was cut short in the Superga Air Disaster as the Torino plane returning from a friendly against Benfica in Portugal crashed into the Basilica of Superga overlooking Turin in May of 1949. The entire squad was killed in the crash, including the 30 year old Valentino Mazzola. After losing his father at age six, Sandro Mazzola grew up to be a key player for Internazionale and Italy in the 1960's and early 1970's. 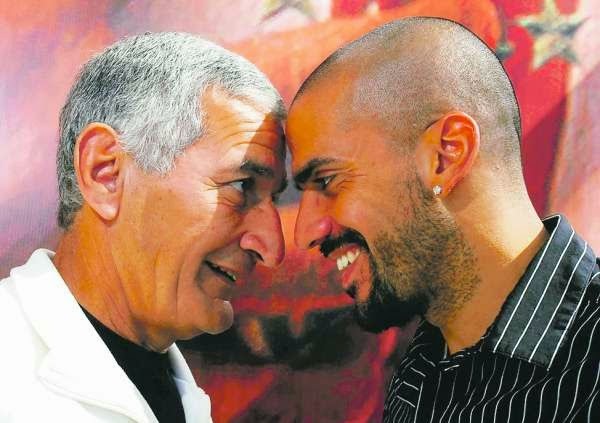 With Inter, the highly skilled Sandro won four Serie A titles and two Champions League crowns, while helping Italy to a place in the 1970 World Cup Final. Johan Cruyff, the most famous Dutchman to ever step onto a football pitch and considered to be one of the finest players ever, is widely remembered for his terrific performances for the brilliant 'Total Football' Ajax sides that won three consecutive European Cups in the early 1970's and for helping his country to the final of the 1974 World Cup. He later moved on at club level to Barcelona, where he helped the Catalan side to a La Liga title in his first season in Spain. 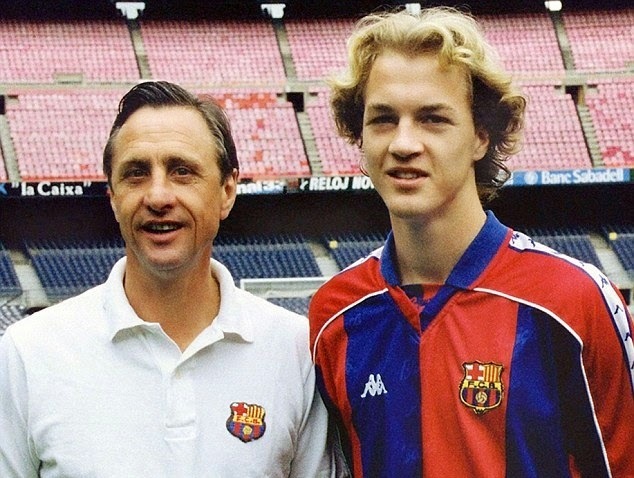 His son Jordi started his career at Barcelona and after impressing at club level he was selected for the national team and is only the sixth player to have represented the Netherlands having never played in the Eredivisie. Jordi later joined Manchester United where he played a part in the club's Premier League title winning side in 1996/1997. Like his father, the younger Cruyff has entered the world of football administration after hanging up his boots and is currently enjoying a successful stint as the Sports Director of Maccabi Tel Aviv F.C. 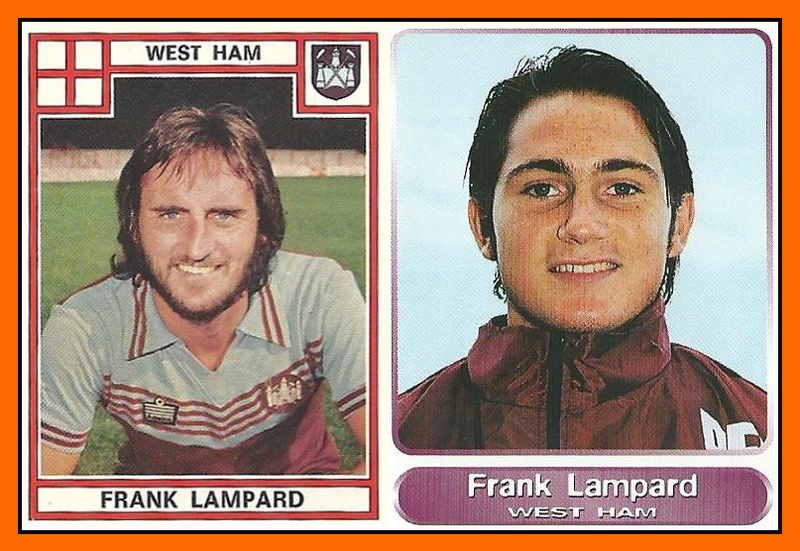 Frank Lampard Sr. and Frank Lampard Jr. The elder Frank Lampard is one of the most respected players in West Ham's history, making over 650 appearances at Left Back for the East London side and helping them to two FA Cup win's during his time at Upton Park. He later became an assistant manager for the club under his brother-in-law Harry Rednapp. Frank Jr., also started his career in the claret and blue, but as his family was so connected to the club he had to endure accusations of only playing through nepotism in his early years as a Hammer. Ignoring his critics, Frank Jr. eventually proved the doubters wrong by showing off his ability in midfield and becoming a key player for the club. He later joined Chelsea and after numerous league, cup and European titles for the Blues he has been described by some as the best player to ever grace Stamford Bridge. As captain of AC Milan in the 1960's, Cesare Maldini led the club to four Serie A titles and their first European Cup win in 1963 at Wembley over Benfica. Along the way the classy defender also won 25 caps for Italy. 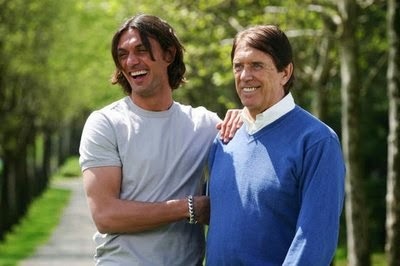 His son Paolo though might be the finest player to have ever pulled on the Milan shirt. One of the finest defenders of the modern era, Paolo played his first match for Milan at 17 and when he retired at age 41 he had won seven Serie A titles, an incredible five European Cups/Champions League titles, and two Intercontinental Cups. He also played for his country 126 times, helping them to the finals of the 1994 World Cup and Euro 2000. 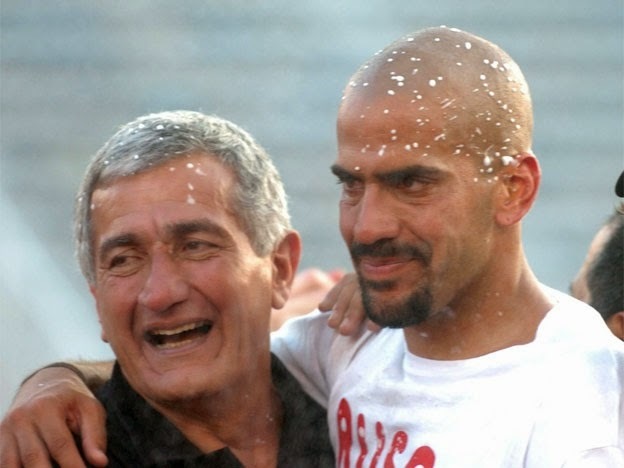 Juan Ramon Veron, a high scoring winger, was a key part of Estudiantes de La Plata's all conquering side of the 1960's who dominated not only the Argentinian league, but also South American football on their way to winning three straight Copa Libertadores. He also scored a crucial goal against his sons future club, Manchester United, that helped to down the then European Cup holders in the Intercontinental Cup. His son Juan Sebastian started his career with Estudiantes before moving on to great success in Europe. He won a Serie A title at Lazio and although his transfer to Manchester United has been dubbed an expensive flop, he did play some great football occasionally at Old Trafford as he helped the club win the 2002/2003 Premier League title. After subsequent moves to Chelsea and Inter, he returned to Estudiantes in 2006 where he helped his old club win their first title in 23 years.